So far we are quite lucky as fall is really showing off with a lot of sunny days and lovely bright colours all around! I don’t even mind rain too much, it is just part of the season and gives me even more reason to stand in the kitchen to cook or bake something warm and cozy (and afterwards cuddle together on the sofa with a nice warm cup of tea or cocoa). 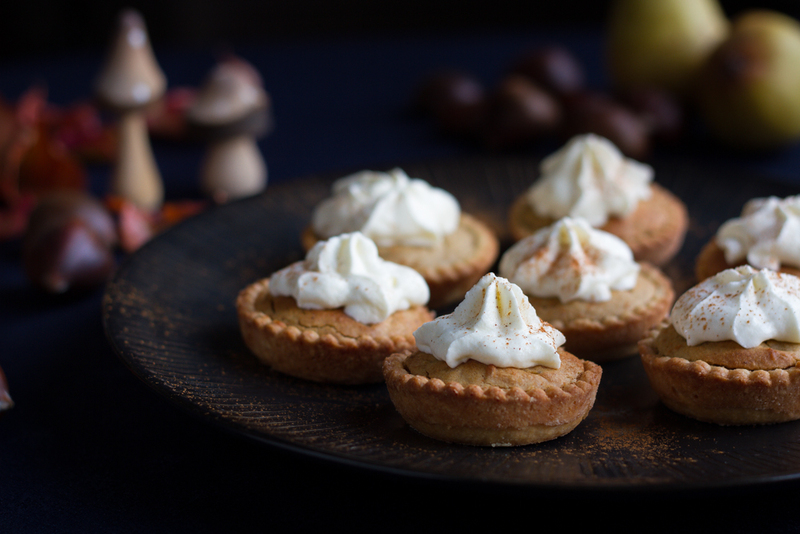 To reach the most of this warmth and coziness that baking gives me on an autumn day, I need spices. I am talking cinnamon, ginger, cardamon, nutmeg. Lets only focus on nutmeg and cinnamon for now. 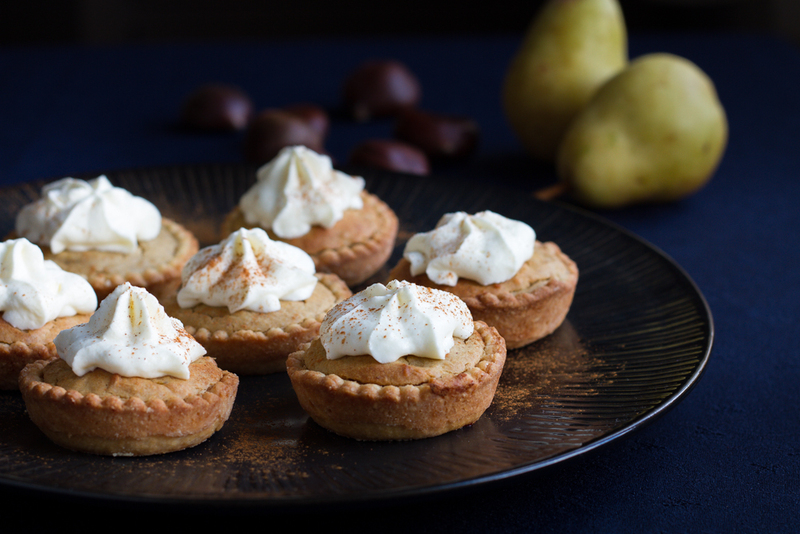 The nutmeg will provide our little cakes with a hint of sharpness and brings the chestnut flavour to a whole new level. The cinnamon on top is a must, as it just complements this sharpness perfectly and brings it all together perfectly! 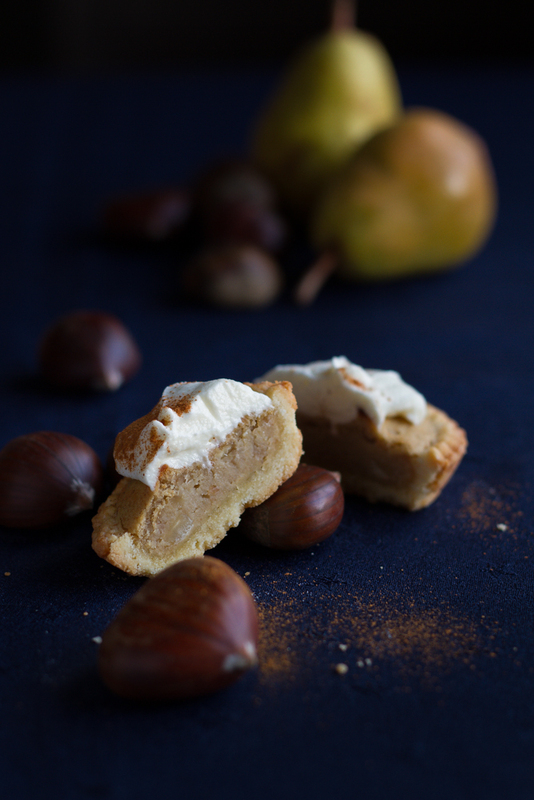 Chestnut puree can be quite heavy and filling. I wanted to lighten it up a bit and choose to add a few pears to add a slight sweetness as well. 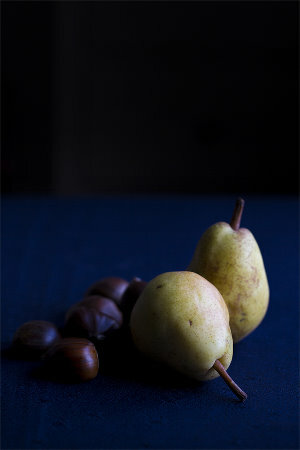 You will not taste pear, however, so if you want, increase the amount of pears to equal the amount of chestnuts. Some whipping cream, slightly sweetened with vanilla sugar is also a must. Again it lightens the whole thing a little and brings a lighter texture to the cakes. So don’t you forget one of those essential components 😛 Trust me, cream and cinnamon are essential and not only for decoration (although it looks pretty doesn’t it ). Hope you enjoy! 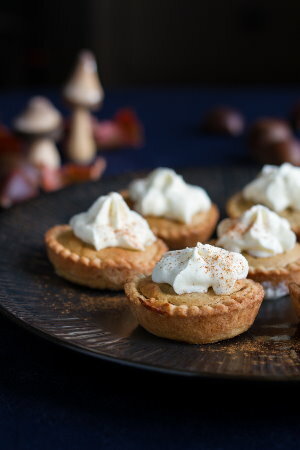 Beautiful tartlettes! These would be perfect for a party! Im Herbst geht bei mir auch nichts ohne Zimt, das ist ein absolutes Muss!